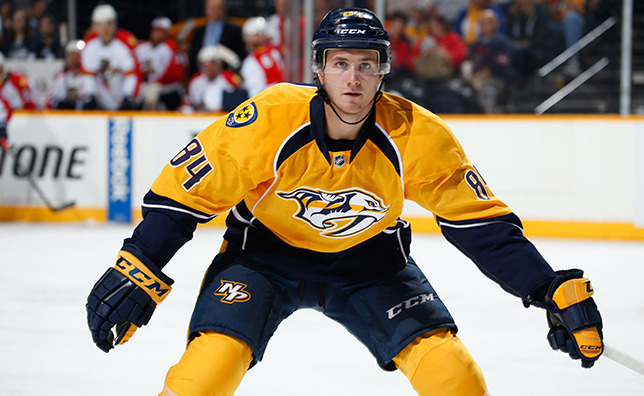 Nashville, Tenn. (September 13, 2012) – Nashville Predators President of Hockey Operations/General Manager David Poile announced today that the club has signed 2012 second-round draft pick Colton Sissons to a three-year entry-level contract. Sissons, 18 (11/5/93), is entering his second season as captain of the Western Hockey League’s Kelowna Rockets in 2012-13. A season ago, the 6-0, 187-pound right wing ranked second on Kelowna in goals (26), and tied for third in points (41), in addition to pacing the club in power-play goals (13). Sissons also captained Team Orr to a 2-1 victory at the 2012 Home Hardware Top Prospects Game and served as an alternate captain for Team WHL at the 2011 Subway Super Series. The North Vancouver, B.C., native was Nashville's second choice, 50th overall (second round), in 2012 Entry Draft, and says he models his game after Predators forward Mike Fisher.